As you can see from the shot above, Best Buy stores are starting to receive their shipments of the Droid X. (Yay!) If you remember back during their 2 pre-sale periods, one of which ended abruptly, there was concern that they may not have enough to cover demand. Well we have heard from 2 sources today that stores should have enough to cover the devices pre-ordered before July 4th which was the initial pre-sale period. 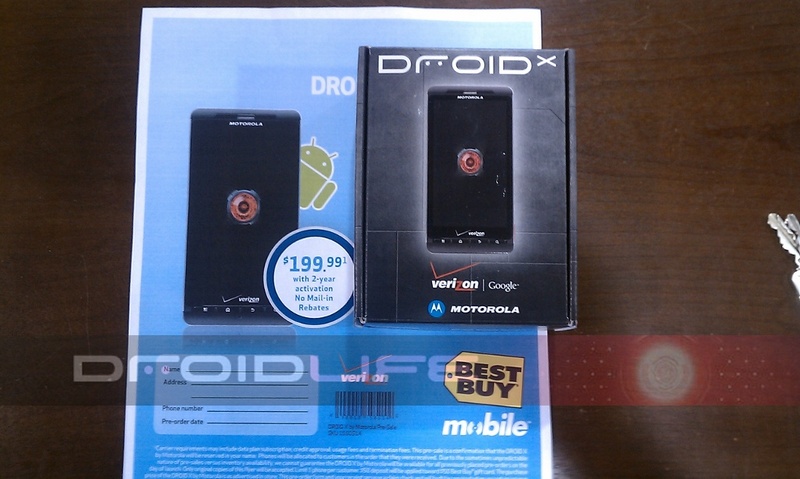 On a related note, we’ve received emails from 2 readers who called their local Best Buy and were told that they would not be able to pick up their Droid X tomorrow because the stores had not yet received shipments. Our BB insiders definitely have shipments at their stores, so I would suggest giving your local BB a quick call before making the drive over.